can special order for you. We can not ship from the factory direct to you. To place an order just call us at (562) 423-4879. 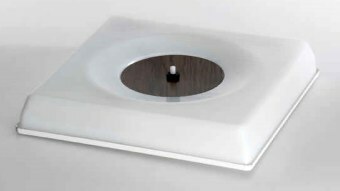 Any of these standard fixtures can be made with warm white (3000K) leds. six is made in a single order. and on the 3000K they are hand populated which adds labor costs. by the tens of thousands. They purchase the 3000K leds in small quantities due to the low demand. 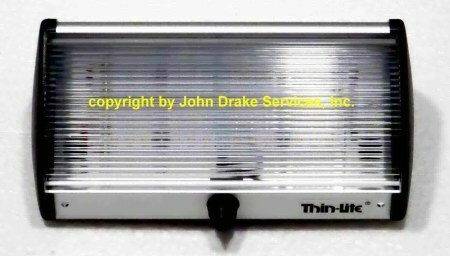 Thin-Lite pays more for the 3000K leds and has to pass the cost onto us. If this works for you, please call us at (562) 423-4879 for pricing and availability. We will have to confirm pricing and availability on this warm white model at the time of the request. 18" by 4" by 1.419"
white housing, 18" by 5.375" by 1.75"
LED-311-1 ODS , available with with either a clear or amber lens. 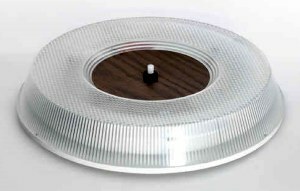 Thin-Lite’s LED Interior Dome lighting fixtures provide efficiency for use in commercial and industrial applications. 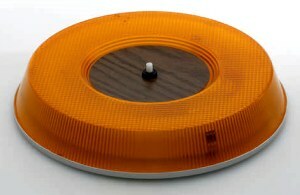 Interior Dome lights are easy to install where decorative styling and durability are desired. This Indoor/Outdoor light comes with a motion sensor that provides efficiency and security. 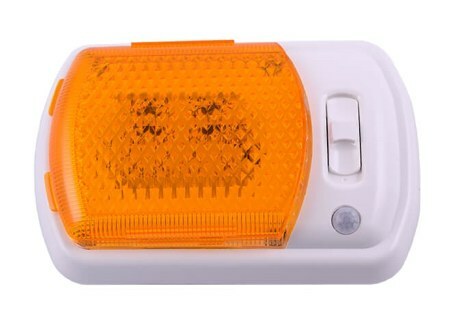 Can be set on an on/off mode or at the Sensor mode to automatically illuminate when motion is detected. Compact thin design comes with a clear and amber Acrylic diffuser lens. Overall Dimensions: 7.32"L x 5.00"W x 1.00"
number of led's and half the light output. 12.875" long by 3.80" wide by 2.75"
Amber model shown - also available with a clear lens. We will have to confirm pricing and availability. Please note: the light output on the LED version of the 186/286 is 1920 lumens, the output of the fluorescent version is 2850 lumens. This is due to the 36 watt PL tube in the fluorescent light. 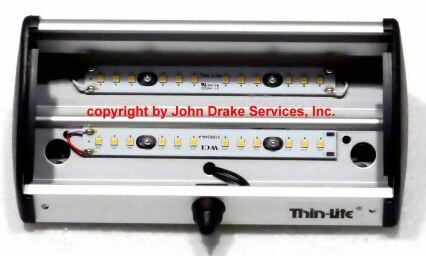 This is one of the few models where the LED light output is less than the original fluorescent version. Very popular in marine / boating applications. Momentary rocker switch on one end. Shown with black end caps. White translucent lens with flat bottom "V" shaped groove down the center. Designed and manufactured in USA with domestic and imported parts. work surfaces and under cabinets and provide a "custom made" look. With new technology, we can offer competitive pricing in todays market. 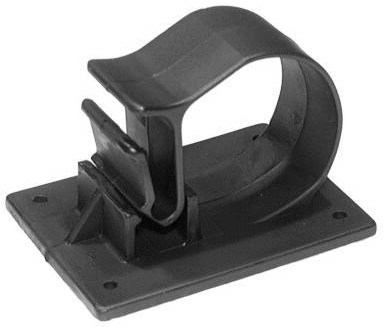 mounting brackets and two wire nuts as shown in the picture above. The mounting brackets snap into the grooves in the back of the lights. 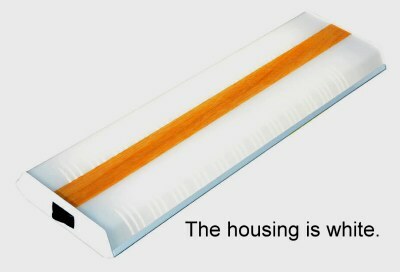 This model is only sold in full cases of ten lights. Shipping cost will be based on the weight AND dimensions of the package. Price per FULL CASE of ten lights. 10" by 1.5" by 5/16"
12" by 1.5" by 5/16"
18" by 1.5" by 5/16"
23" by 1.5" by 5/16"
33" by 1.5" by 5/16"
43" by 1.5" by 5/16"
Only made in an led version. 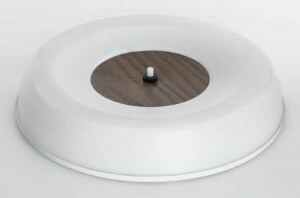 Model - These models are for recessed mounting only. 14.75"L x 6.325"W x 2.00"
Thin-Lite’s LED 712XLRWP and LED712XLRWP5 commercial grade series recessed mount fixtures provide efficient lighting for elegant interiors. 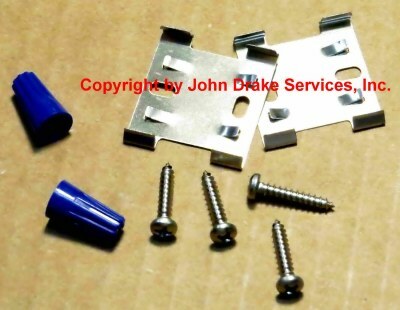 They are easy to install in ceilings and under cabinets. They provide the both Red and White LEDs for emergency and command vehicles as well as for the marine industry. Equipped with non-yellowing semi-clear white diffuser lens. One Touch dimming switch with unlimited dimming levels, Patented “Memory Set” technology retains user programmed brightness settings. 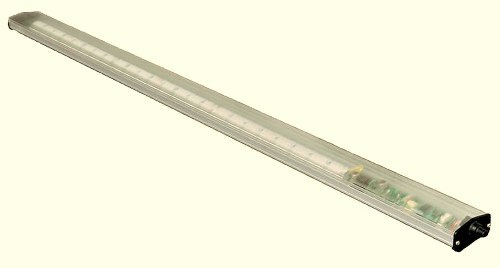 LED life of 100,000 Hrs., Wide Voltage Range Input of 8 – 30 VDC and are over voltage protection that resets at 28VDC are standard. Multiplex Integration compatible. These can be made with either 4000K Cool White or 5000K Daylight leds. Thin-Lite’s LED 716XLRWP and LED716XLRWP5 commercial grade series recessed mount fixtures provide efficient lighting for elegant interiors. 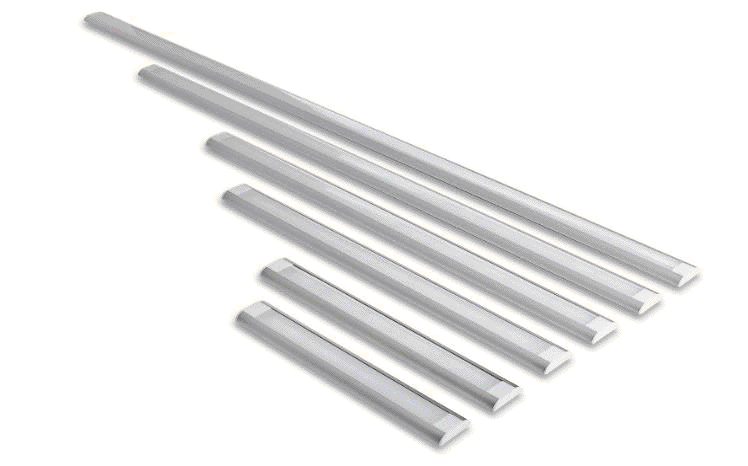 They are easy to install in ceilings and under cabinets. They provide the both Red and White LEDs for emergency and command vehicles as well as for the marine industry. Equipped with non-yellowing semi-clear white diffuser lens. One Touch dimming switch with unlimited dimming levels, Patented “Memory Set” technology retains user programmed brightness settings. 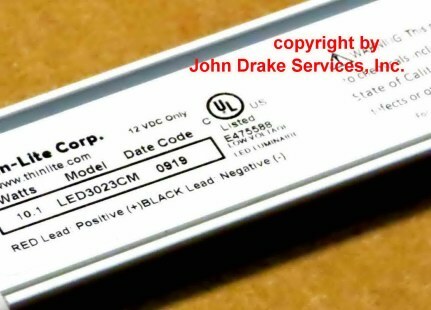 LED life of 100,000 Hrs., Wide Voltage Range Input of 8 – 30 VDC and are over voltage protection that resets at 28VDC are standard. Multiplex Integration compatible. Preferred use in emergency and first response vehicles. 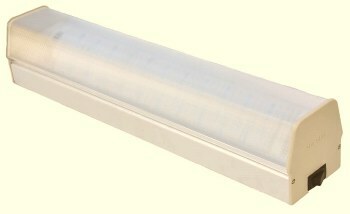 The VFI55 ( 55") length of lights have been discontinued.